Subscribe to our mailing list for sale events and promotions. Multiquip Saw Blades - Multiquip is a diverse manufacturer and supplier of world class quality industrial products and solutions, is an established and proven company, well positioned for steady, long-term growth and committed to investing and maintaining high quality, reliable products and exceptional customer service. 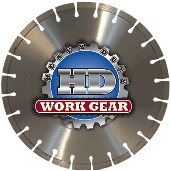 Always use full personal protection equipment [PPE] when operating equipment using diamond blades [for more information visit online: https://www.osha.gov/Publications/osha3151.html]. Match the equipment and the blade specifications to the material type being cut. Verify that the power equipment and all auxiliary safety components meets the manufactures operating specifications and that the service records reflect that the equipment is in proper work ready conditions. Follow the proper equipment start-up and shutdown procedures. Verify that the correct mounting of the blade on the equipment being used and always follow the manufactures safety protocols. 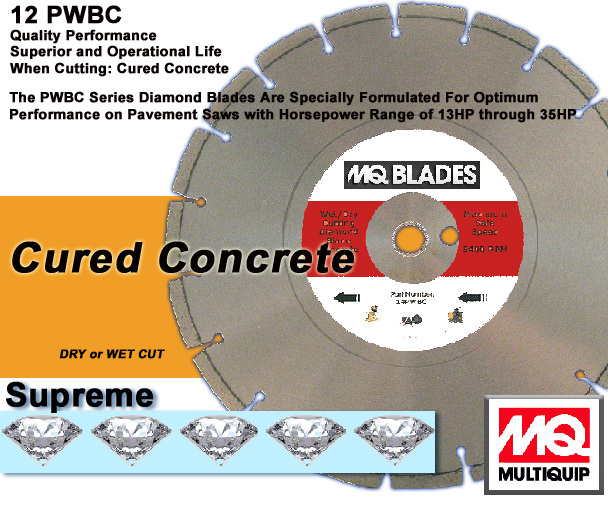 Always operate diamond blades with the equipment safety guards in place. Inspect the blade before and after each use for diamond segment damage, disk trueness and arbor fit. If signs of damage are suspected, discard the blade. Do not force the diamond blade to cut; cut in multiple passes as needed matching the equipment and the diamond blade for ease of cutting. Do not exceed maximum operating speed established for the blade diameter. 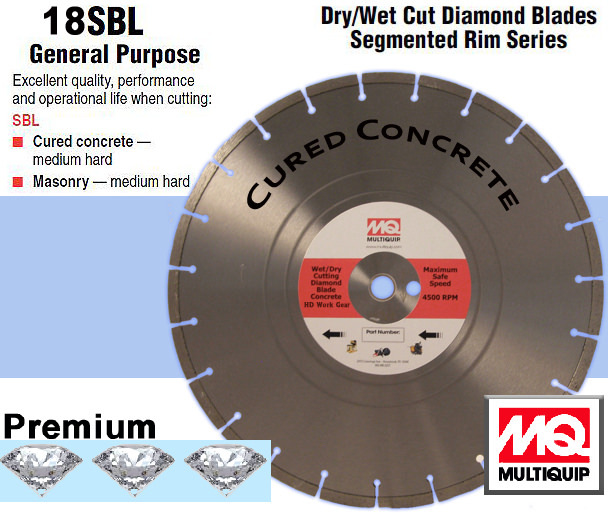 Note: Diamond blade cutting depths listed above are approximate. Actual cutting depth will vary with the saw components such as the equipment chassis, blade guard and the diameter of the blade collars.